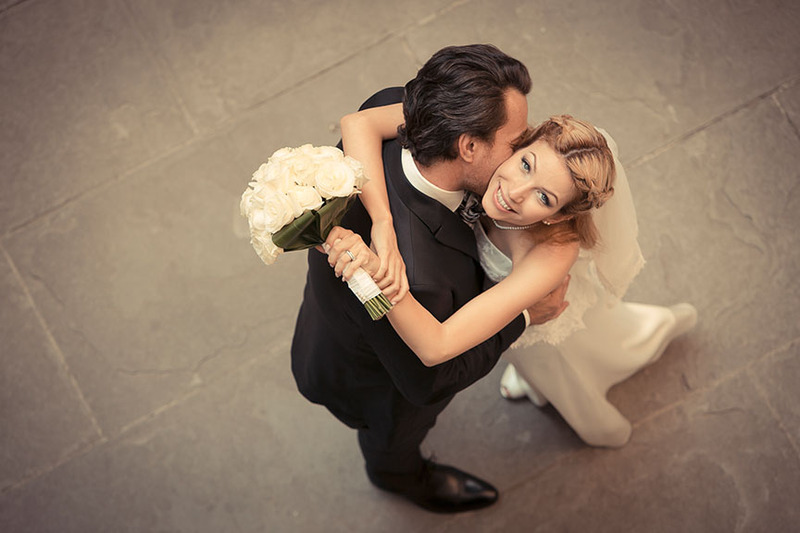 Every year, the beauty of Tuscany amazes visitors from all over the world – so it is no surprise that the Italian region is the first choice for many bridal couples as well. Apart from classy villas, idyllic vineyards and romantic gardens especially the regional capital Florence enjoys great popularity amongst our brides and grooms. In and around Florence, located in the heart of Tuscany, there is a great variety of dreamlike venues that are perfect for a romantic Italian wedding. Those who opt for a civil wedding in Florence chose a majestic and truly impressive building for their wedding ceremony at the same time: the Palazzo Vecchio, the present city hall of Florence. The construction of this monumental palace began in 1299 and was completed in 1314 – from this time on it dominates the Piazza delle Signoria, the central square of the city. At that time, the palace served as seat of the parliament and as place to sleep for the representatives. The fortified character of the architecture as well as the 94-metre high tower are shaping the cityscape to this very day. Whoever dares to ascend the 416 stairs of the tower will be rewarded with a breathtaking view of the city and the valley it is situated in. Apart from the tower, especially the magnificent interiors of the palace – like the famous Hall of the Five Hundred – are a real highlight. Ornamented ceilings, wall frescoes, golden decorations and imposing sculptures bring together art and history and fascinate the visitors of the palace. A marriage in the Palazzo Vecchio will guarantee an absolutely unique atmosphere and turn your wedding in Italy into an unforgettable experience. For weddings with up to 50 guests, the ceremony will take place in Sala Rossa, an elegant and splendid room, which is, as the name suggests, completely decorated in red. Precious and luxurious details give the room a very special touch. 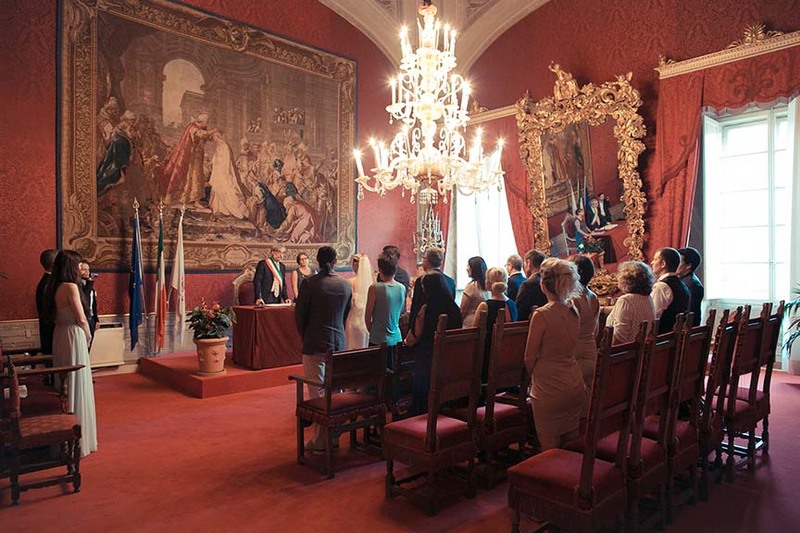 Civil weddings with more than 50 guests however take place in the lordly halls Sala di Lorenz or Salone del Cinquecento (Hall of the Five Hundred). The antique Palazzo Vecchio in Florence combines history and culture in one of the most beautiful Italian regions and is therefore the perfect place for couples that are looking for an unforgettable wedding in authentic Italian atmosphere.